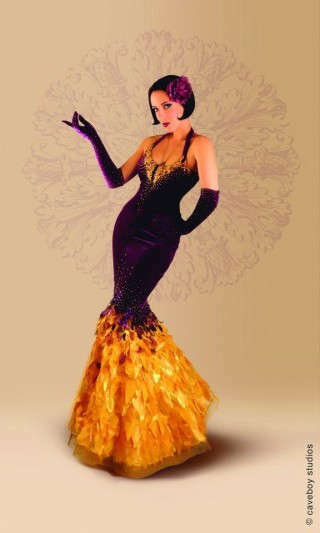 Burlesque meets couture on the 2014 Perth International Burlesque Festival’s night of nights! Lalla Rookh Bar & Eating House hosts this year’s festival launch party, Corsets and Couture, where burlesque inspired wearable art takes the stage along with headlining artistes, touring and local performers. Featuring Perthanality and fashionista MC Famous Sharron, live music, exhibitions by local designers, and a professional photo booth by David Woolley, this is your night to be seen and photographed. Lalla Rookh boasts a specialty wine selection, and a modern Italian menu showcasing Western Australian produce. The restaurant will be open exclusively to ticket holders from 6pm, and a bar menu will be available on the night. Please call Lalla Rookh on (08) 9325 7077 with a pre-purchased ticket to book a table for dinner. 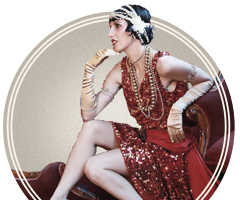 The 2014 Perth International Burlesque Festival is proud to be a partner of the City of Perth Winter Arts Season.